Installer(s): Phase I - Silverlands Construction. Phase II - Down to Earth Landscaping. The Richard J. Coffee Mercer County Park, commonly referred to as simply Mercer County Park, is considered by many to be one of the best parks in central New Jersey. Mercer County Park encompasses over 2,500 acres and offers a large collection of recreational amenities. Since 1987, Mercer Lake, located within the park, has been used for rowing team training & selection trials to represent the United States at the Olympics and World Championships. In April 2016, the National Softball Association honored the Mercer County Park Commission with its "Outstanding Parks Award" for the softball fields and facilities in Mercer County Park. Additionally, Mercer County Park is host to the annual Trentonian Softball Tournament, which has been billed as the 2nd largest softball tournament in the world. The two baseball fields located in the center of the park host a number of leagues and tournaments throughout the season. CME Engineering contacted John Rocco Sales after seeing a similar project completed in Canada for Kings Christian College. 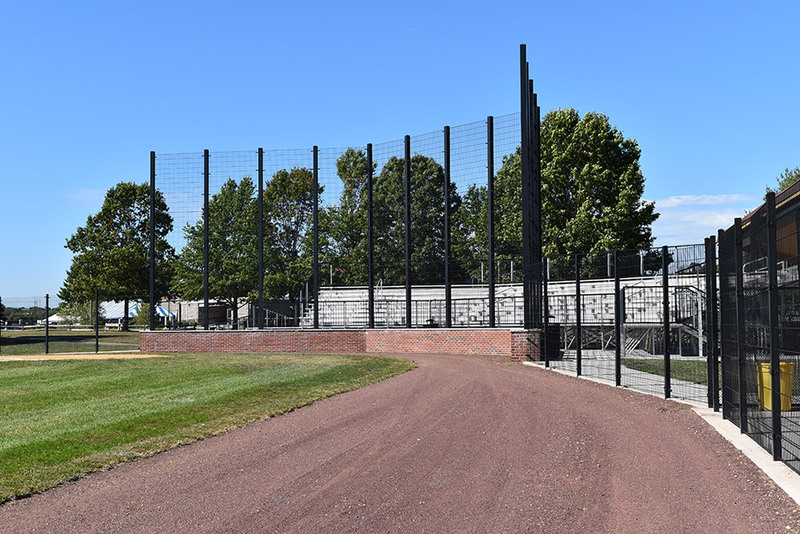 Recent renovations to the Mercer County Park baseball fields include a new backstop & dugout, sports lighting & new fencing. Providing optimal field of vision, Omega SECUR non-obstructive see-through panels were used throughout the project. Ascetically pleasing with an urban modern look, the welded wire SECUR provides additional security while protecting fans from stray balls. 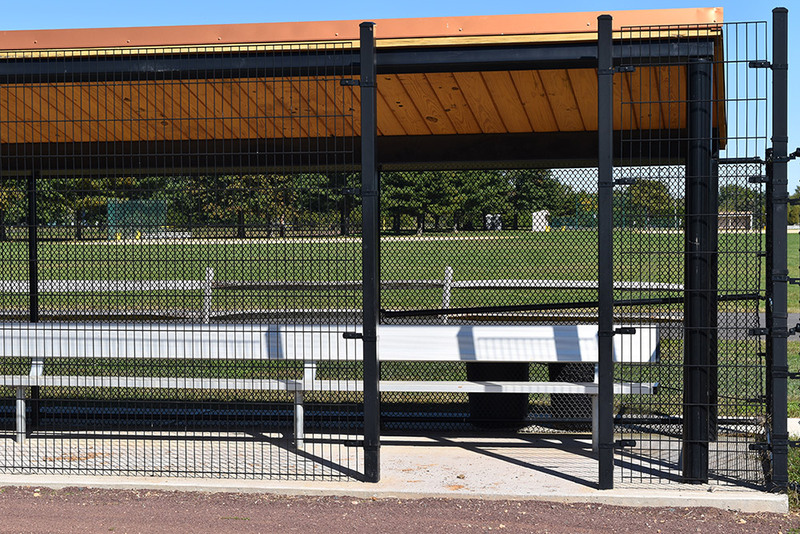 Due to the success of this project, Mercer County Park is currently installing Omega Fence products for the back stop & dug out fencing on their third baseball field (phase II). They love the look of Omega SECUR.